At DAAPworks, the University of Cincinnati’s College of Design, Architecture, Art, and Planning (DAAP) stages an annual exhibition of graduating students’ final projects. This exhibition, is free and open to the public from June 5 to June 8. Work will be displayed from the following disciplines: Architecture, Art Education, Art History, Digital Design, Fashion Design, Fine Arts, Graphic Design, Industrial Design, Interior Design, Urban Planning, and Urban Studies. DAAP invites you to view the amazing creative output of its graduating students! 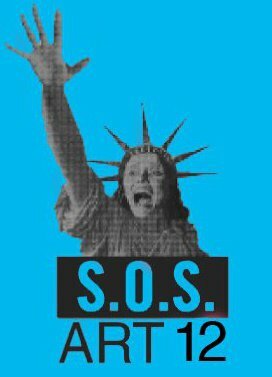 Every year, the Art Academy of Cincinnati has an SOS Art show where local artists display art they have created based on the themes of justice and peace. Even though I do not like the theme since it leads to some really bad/ poorly informed “political art” and had such a terrible time last year just trying to deliver my work ( the front desk attendants had no idea what was going on, even though I was dropping off my work at the proper delivery time), I have decided to give it another chance. I didn’t get to go to the opening reception last year, so I have made it a point to go this year. Perhaps it will make me think differently about the show. If you get the chance, check it out. It is @ the Art Academy of Cincinnati and opens on June 1st at 5pm. If you can’t go, well, I will probably be talking about it when it is all said and done. Work will be up soon!